Legend Golf & Safari Resort, where our horses and volunteer base is established, is world renowned. It is a unique leisure destination for a holiday getaway, business trips, golf or safari experience. 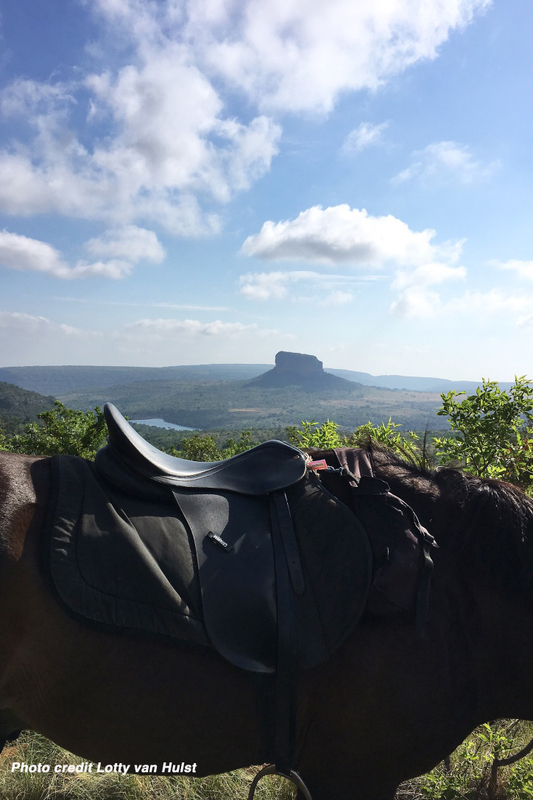 Out in Africa Encounters offers guests rides on the resort with non dangerous game as well as safari packages on Entabeni Private Nature reserve, which is home to the big 5. Volunteers will be able to experience working with our horses from this unique location with picture perfect scenery and wildlife. Accommodation will be provided on a sharing basis with one other volunteer at a time. Food will be bought in town and at the volunteers expense. The Placement: Volunteers will have to a have high standard of riding, and be competent in all paces as a minimum requisite. They must ride regularly, and be able to feel comfortable and in control of horses which they are not habituated to. Our horses are predominantly Boerperd crosses, a home-grown breed that is well adapted to South African conditions. Riding is done in English tack. We will need a description of your riding experience to determine if this program is suited for you. Activities around the horses will include the following: Grooming and tacking up, lunging at times, hacks in the bush and with guests on an area with non dangerous animals, schooling and general assistance in taking care of the horses. Work with the safari team, logistics and catering to guests while on safari could be integrated during the stay. Game viewing: Due to the nature of the experience, you will be in an area where you will be exposed to animals. The guides and team will be available to give you a better insight into your surroundings, safety briefs and answering queries. Meals: Shopping will be done in town upon arrival and when needed after that. Food will be at the volunteers cost. Volunteers will cook their own meals or choose to eat at some of the restaurantes on the resort. Duration of stay : We have a minimum stay policy of 2 weeks. Let us know during which month you would like to travel as well as duration of stay and we will get back to you with optional dates. There are buses from Johannesburg to Mokopane, from where we can pick volunteers. Alternatively volunteers can make use of a private door to door shuttle service. We will be happy to help you plan your trip. How many times a week do you ride, and what type of riding do you do? Do you have any medical issues which might have to be taken into account? Please include anything about yourself which might be of interest.